Saturday night and the fancy grocery stores with helpful butchers have closed. I’m standing in front of the pork section trying to remember the various cuts and what they are good for. I want something that won’t be too expensive and will enjoy a good long slow cook. I don’t need much – I’m looking for flavor rather than substance. I’ve just about resigned myself to buying the smallest shoulder I can find, cutting off what I need and freezing the rest, in what spot in my jam-packed freezer I couldn’t say. Then my eyes land on a pork neck. Intriguing. Cheap. I’ve never cooked with a pork neck but I think it will do the job just nicely. This recipe was inspired by a tin of Smoky Paprika Chipotle Seasoning I picked up on impulse a couple weeks ago. I try to avoid spice mixes. It’s more useful to have the separate ingredients and blend my own as needed, but lately I’m a sucker for anything chipotle. And paprika. So there it is. A word about the cumin and coriander. You can skip the toasting and grinding by hand. That’s the joy of being able to buy the pre-ground. But if you can spare a few minutes, that moment you inhale the scent of the freshly ground and toasted spices will remind you why you cook instead of buying frozen dinners. Incomparable. The freshest jar of pre-ground spices can’t offer you that. 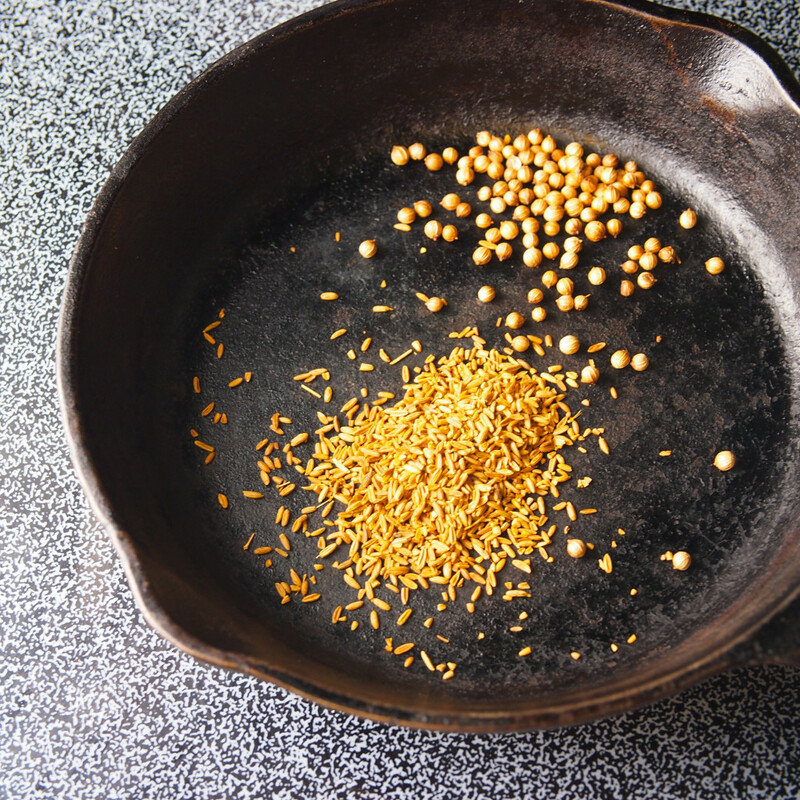 In a small skillet (cast iron is best for this), toast the cumin and coriander until fragrant. Remove from heat and crush in a mortar and pestle or spice grinder. Heat a tablespoon of oil in a heavy skillet. Brown the pork neck on all sides. Place pork in the slow cooker. Add freshly ground spices and the rest of the ingredients, adding more stock if needed to cover everything. 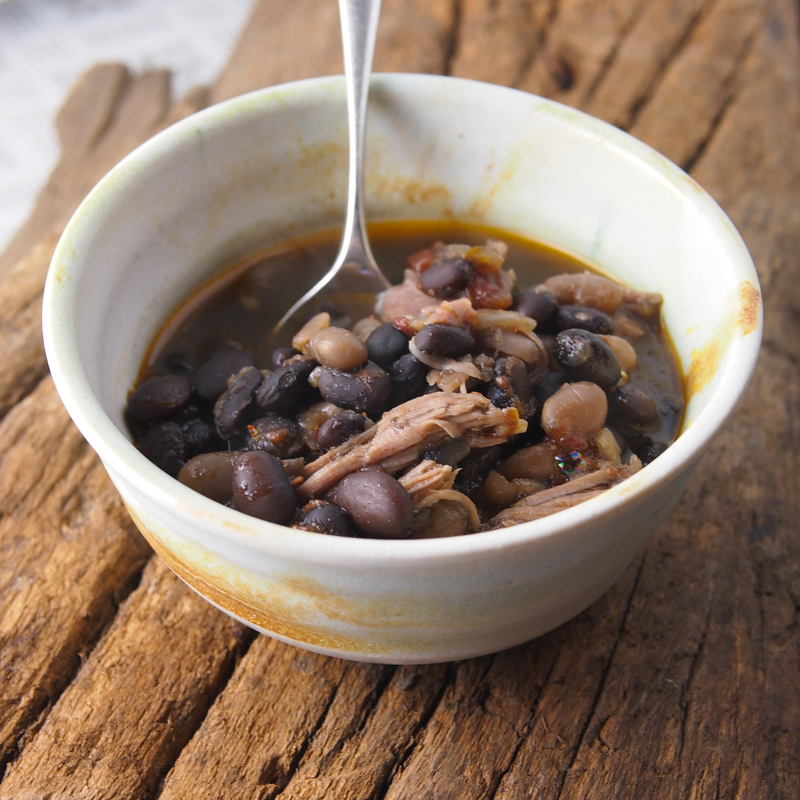 Turn the slow cooker to high for one hour. Reduce to low and cook for four to five more hours, until the beans and pork are tender. Add salt to taste. *A blend of chipotle chili powder, paprika, garlic, sea salt, sugar and smoke flavoring.